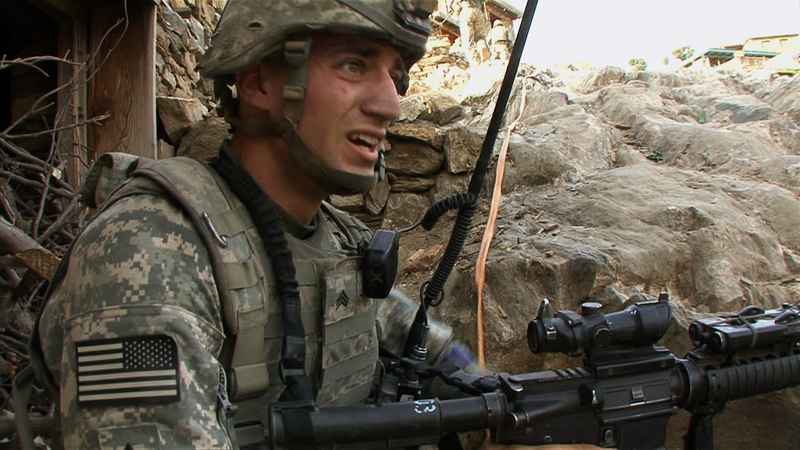 Following on from our screening with Dukes at Komedia of Sebastian Junger’s “Which Way is the Front Line from Here?”, we’re very pleased to be working with the Dukes again to screen another of Junger’s films, “Battle Company: Korangal”. Thursday 12th March. Kicks off at 6:30pm. Tickets are £10 and available here Proceeds from ticket sales go to charity. Korangal kicks off where academy award nominated, “Restrepo” left us and uses footage shoot in 2007 and 2008 by Tim Hetherington to look into the complexities of the experiences that soldiers in combat go through, focusing on the men that were stationed at outpost Restrepo on the Korangal Valley, Afghanistan. As with our screening of “Which Way…” proceeds from ticket sales will go to Sebastian Junger’s charity, RISC, which seeks to educate journalists and photojournalists in first aid.